Carol, I can only imagine that with seven kids, you have more education than any of us! Happy Birthday, Since you are kind to offer us gifts, I hope you get some nice ones yourself. My Dodgers are in middle of run for Division Title so am caught up in that. And My Dad would have been 100 this coming October. Hard to believe he is gone 10 years. We are having a memorial tribute with family this weekend. I hope it's a lovely tribute. Thanks for sharing. Happy birthday PJ! My favorite subjects in school were history, English/literature, and French. As far as Mrs. Brodie's is concerned, I would like to learn how to send/ receive secret messages (ciphering) and lock picking. Both would be very useful, don't you think? Lol. Sandra, those were all my favorite subjects too! Hope you have a lovely birthday!!! Both are authors that I read and enjoy!! What a delightful feature and lovely giveaway. My favorite subjects were English, history and French. I enjoyed them thoroughly and still am an avid reader of history, and love languages. Have a wonderful birthday. Ooh! Some of my favorite subjects too! Thanks for this special and beautiful giveaway which I would enjoy greatly. The authors are so talented and their novels captivating. In school I was always interested in reading, spelling and literature as well as linguistics. Now maths, science etc. was not appealing at all and avoided. I'm 100% in agreement. I still don't like math. My favorite subject in school was art. It was fun learning about it and creating it. I would want to take the class on how to forge; would be very interesting! I wish I had some talent in art. It always looks so fun. Miss P.J., hello and warm birthday wishes to you . Thank you all for this little get together..and of course the chance at some really outstanding reading material ! Woo hoo ! The excerpts and trivia were great ! Whether I win or no, is of no consequence, but beibg able to interact and get to know you as lovely peopke and damn good writers ..that in my opinion makes me a winner not matter what ! I do hearby attest to really disliking my phone..Miss Shana,my apologies for the misspelling of your name ..how embarrassing I didn't catch it before " publishing " my comment. No worries, Cyndi! I didn't even notice because my real name is Shane! Good Morning, All! Theresa and Shana, welcome to the blog today and congratulations on the release of your new novella duet. I had so much fun reading the stories. Any chance you'll make a return visit to Mrs. Brodie's Academy? I'v had several readers ask that PJ. Maybe we should chat about it, Theresa? I'll be returning there in my next Romance of the Turf novel, out in spring 2019. 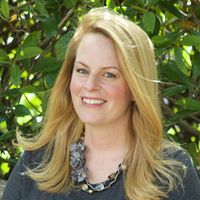 Mrs. Brodie has appeared in the earlier books in the series and will play a big role in the new novel. Happy birthday to you. Have you have a great week. Thanks for all the goodies you share with us. One of my favorite blogs, been a fan forever Also have gotten lots of great book and author recommendation from you amazing ladies. Happy Birthday PJ! My favorite subjects in school were English and History. I did not enjoy Grammar! I think we would have been friends in school, Amy. Hi, cghundley--thanks for stopping by! My favorite subject in school was history. We mostly did American history, starting over with the pilgrims every year & perhaps getting to the late 1800's. I've learned more of European history thru books & movies - I love to pick up more bits of knowledge like from todays two lovely visiting authors. I loved history too, and my favorite class was World History, which I took in 10th grade. But I still feel like I never learned the really juicy bits in school. No pinata for me, Di. Hope the boys enjoy theirs! Happy Birthday, PJ. My favorite subjects were English, math, history and French. Happy Birthday, PJ, and happy book release to Shana and Theresa, two of my go to Authors. In school, I loved English Language and English Literature, plus I also learned shorthand and typing. I also loved my Domestic Science class where we learned to cook something different each week. Diane, your Domestic Science class sounds fun! I had something similar in Home Ec, but it was only a short course. I wish I could have learned more about cooking when I was in school. Maybe then it wouldn't have intimidated me so much when I had to start cooking for myself. 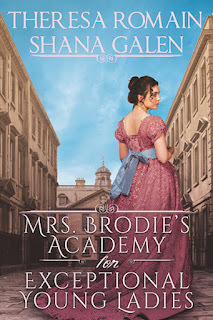 Congratulations on the release of Mrs Brodies Academy ladies! I just finished it and LOVED both the stories! Oh and my favorite subjects were English and History. Welcome, Shana and Theresa. Thanks for visiting with us today. My favorite school subject was history. At Mrs. Brodie’s Academy, maybe I could pick up a few pointers on herbal remedies and other at-home medical care…or lock picking. Or counterfeiting! Not that you would ever use that, except maybe with Monopoly money! I LOVE the premice (?spelling) of this school! And I'd almost lay down food money there actually was a school like this. Lit and history were/still are, my favorite subjects, hence reading so many historical novels. I'd love to learn how to fence, or sword fighting as I'm sure the girls at Mrs Brodie's did. An old bf taught me to box, and I'm not bad, considering. Happy Birthday to you, PJ, I hope you have a wonderful day with lots of surprises. That should say "good money", not food money! I have always wanted to learn to fence. My daughter went to fencing camp for a week this summer and loved it. It's really hard work. Food money actually made sense to me as I do love my food! LOL! It wasn't taught much in my English classes, PJ. Maybe that would have made learning another language easier? Hope you've had a great birthday. :) Thanks for the chance to visit today! Happy Birthday! My favorite subject was Literature! Thanks for the great giveaways. I want to say to PJ - HAPPY BIRTHDAY TO YOU....and you can hear me singing softly in the background.....softly because loudly and your ears would bleed. I have purchased the Mrs Brodie's book and look forward to reading it. I was a huge fan of English and History. Actually, I liked everything about school. I had so much curiosity that everything was terrific 'cause I learned new things. 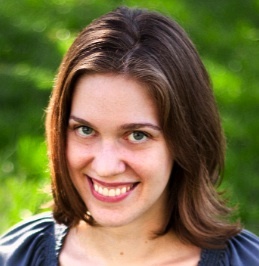 I am a fan of both Shana Galen and Theresa Romain. So, I want to thank you for having here today. And PJ, you look Mahvelous! Thank you, Annette! Don't worry about the singing. It can't possibly be any worse than mine. LOL! Hi, Annette--thanks so much for getting a copy of Mrs. Brodie! I hope you enjoy it. Happy Birthday PJ! Theresa and Shana are authors I enjoy immensely. Aw, yay! Thanks, MsAwesome (great handle, btw). Yay, two of my favorite authors! I am really looking forward to this new duet. My favorite subjects in school were reading/literature and history. I guess this explains why I enjoy reading historical romances. Cheryl, thank you! And likewise on the subjects. Historical romance is the perfect fit for all the things I most enjoy learning about. Happy Birthday, PJ! What better way to celebrate another trip around the sun than with wonderful authors and enthusiastic readers. The new book sounds like great fun and I look forward to reading it. Thanks for bringing it to my attention! Hi, Meg--thanks for joining the fun today! My favorite subject was English, and I majored in it in college. Reading is still my favorite thing! Happy Birthday PJ!! Happy Book Birthday Theresa and Shana. This book sounds wonderful. I definitely enjoy reading historicals, especially those based on real facts. You both are wonderful authors and enjoyable to read. Hope you had a wonderful birthday. I love to read, thanks for the chance to win some books. Love the idea for this book. Sounds like a ton of fun!